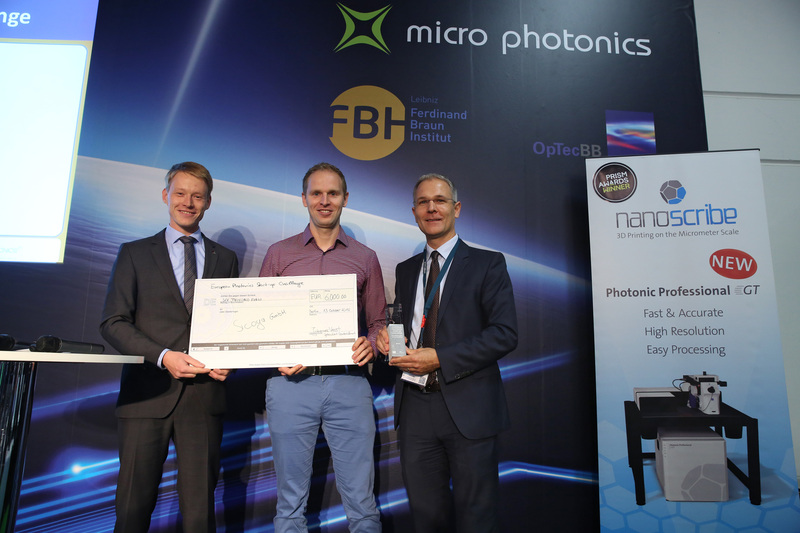 Silicon photonics specialist recognized at Micro Photonics, the new Berlin expo. The company received a cash prize of €4,000, a business coaching package worth €1,500, and various promotions in industry journals. In the competition, which is part of the European outreach program Photonics4All, each of the eight finalists from Germany, France and Austria had to give a presentation on their technology and business model to a judging panel comprising photonics company leaders and cluster managers. The startup, a Technical University of Berlin spin-off based on nine years’ continuous research into silicon photonics, develops fully-integrated Si-photonics transceiver chips that are designed for server interconnects in data centers. Sicoya said it is on track to enter the market in 2017 with a 100 Gbit/s transceiver chip featuring integrated electronics and optics on a single chip. More than 1000 participants from 15 countries attended the first edition of the new trade fair and congress, which ran from 11–13 October. The conference took place alongside the displays of some 80 exhibitors representing micro-optics, microsystem technology and optoelectronics. The next edition of this business and networking event is scheduled for autumn 2017.